The hidden dimensions and unseen realms make up a much larger proportion of the universe than the physical parts which are visible to us – physicists know this and call the unseen parts “dark matter” and “dark energy“. Conventional science has not yet theorised a plan of these higher dimensions so we must look to ancient knowledge and alternative science for the answers. The following passage from the ancient Hindu text, the Vishnu Purana, states much the same thing as Pythagoras did: “This universe, composed of seven zones … is everywhere swarming with living creatures, large or small … so that there is not the eighth part of an inch in which they do not abound”. Eastern spiritual science describes seven planes – the lower planes express more of the matter aspect and are therefore more “material”, and the higher planes express more of the energy aspect and are therefore more “subtle”. The seven planes are not specific locations; they all interpenetrate each other and occupy the same space. 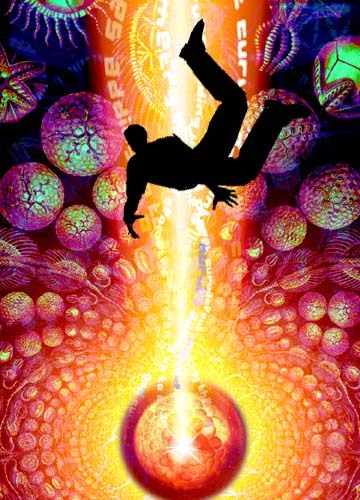 Different levels of consciousness are required to perceive the different planes or dimensions. Big Bang afterglow prove older universe?